Elegant design made of soft lamb nappa leather. Exclusive to Pro-Idee in stylish burgundy red. Made in Europe. By Space Wallet. The clever space-saving wonder in women’s wallets. No bigger than a compact: Perfect for the on-trend mini bags, elegant clutches and evening bags. A tiny wallet with enough room for a note compartment to hold 20 banknotes and a separate compartment for up to 15 coins. The card slot is a flexible section that adapts perfectly to the contents. So the 5.5 x 6.5cm (2.2" x 2.6") wallet is only ever as thick as its contents. 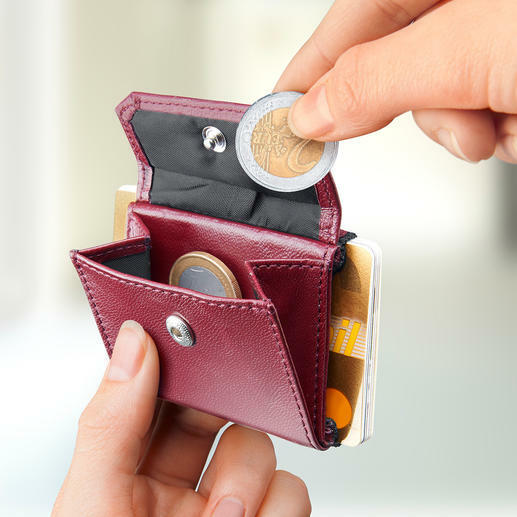 The coin compartment can be closed quickly and easily with a press stud. The soft leather provides a smart appearance and is lightweight at only 15g (0.5 oz). The exclusive shade of burgundy red makes the wallet look more feminine than the usual black or brown ones. In addition, the classic tone goes with many colours of handbag. 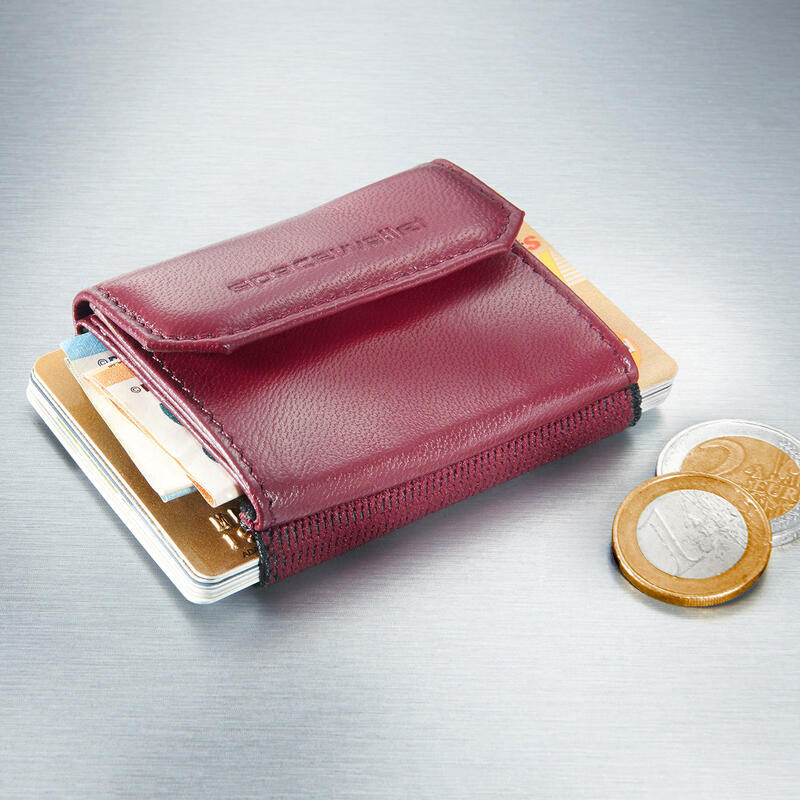 The start-up company, founded in Bayreuth (Germany) in 2013, has its mini wallets lovingly hand-crafted.